Functioning as a contact grill, panini press, full grill, full griddle, and half grill/half griddle, this 5-in-1countertop unit definitely will be a great addition to your kitchen. It features brushed stainless-steel housing for added durability. It also comes with removable and reversible nonstick cooking plates drain grease to ensure healthy cooking each time. Its adjustable temperature controls with indicator lights allow for precise control. Gourmet recipes and scraping tool included for added convenience. 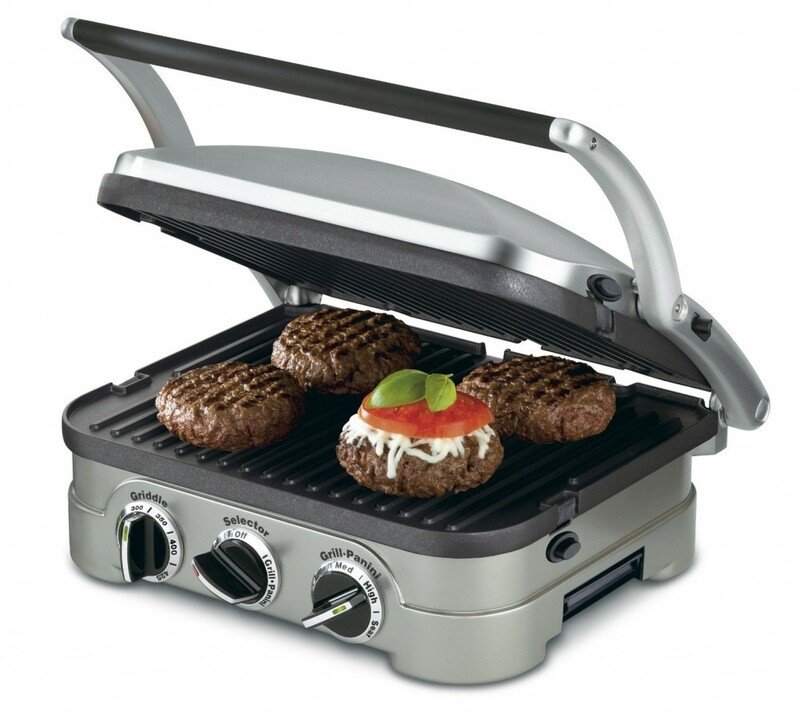 Providing six enticing cooking options, this Cuisinart GR-150 Griddler Deluxe gives you a completely different grilling experience. This 6-in-1 grinder boasts an extra-large grilling surface, making it great for entertaining a crowd or making family meals. 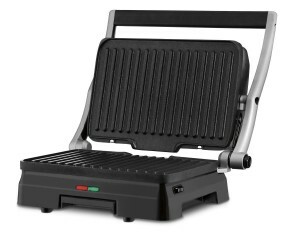 Its removable, reversible and nonstick grill/griddle plates allow for effortless clean up. And the dual-zone temperature control provides you with complete control. Instruction/recipe book included. 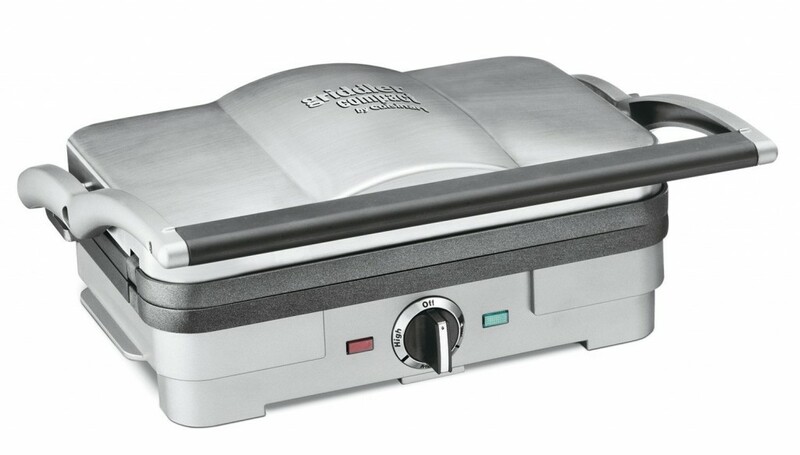 Delivering the options of the grill, panini press, full grill, full griddle and half grill/half griddle, this griddler will be the hardest working kitchen appliance you’ve ever seen. It comes with removable and reversible dishwasher-safe nonstick cooking plates for easy storage and effortless cleanup. The cooking plates drain grease to ensure healthy cooking. It also features panini-style handle with hinged cover that adjusts to thickness of food. 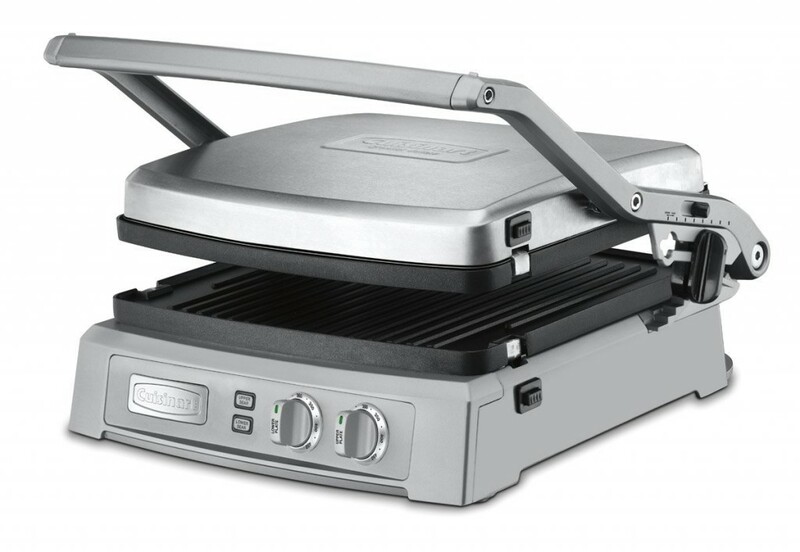 Equipped with two removable and reversible nonstick grill and griddle plates, this Cuisinart GR-55 Griddler provides you with multiple cooking options. It features dual temperature-control dials to adjust the heat on one or both sides. And the power/ready indicator lights are designed for better control. Cloning tool and user manual with recipes included for added convenience. 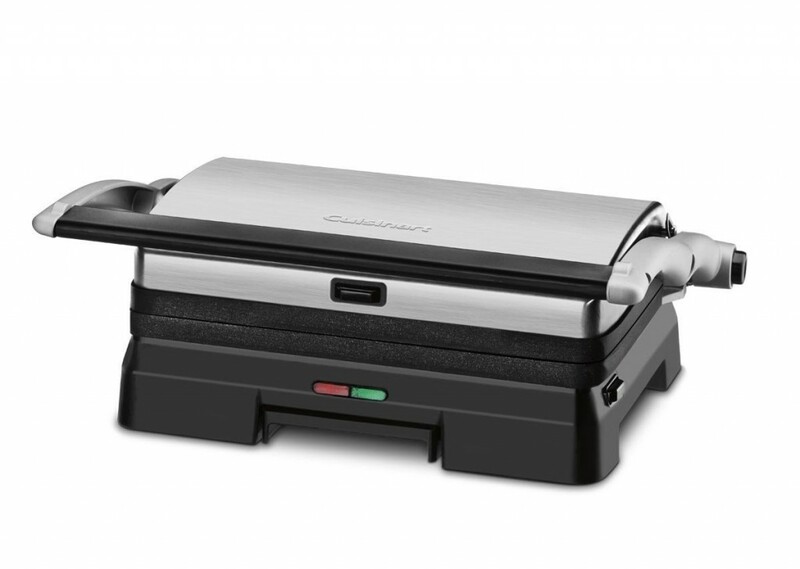 Make succulent steaks, juicy burgers and crispy grilled sandwiches easily and quickly with this Cuisinart GR-11 Griddler 3-in-1 Grill and Panini Press. It features upper and lower nonstick, removable grill plates for even grilling and toasting. And the ‘Power On’ and ‘Ready to Cook’ indicator lights make operation easy. Its front feet are adjustable to assure better grease drainage. In addition, instruction and recipe booklet are also included for added convenience.